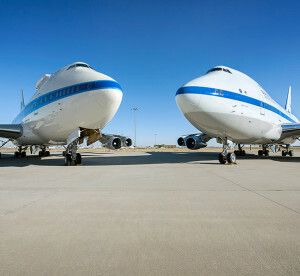 NASA’s Stratospheric Observatory for Infrared Astronomy is looking to save both time and money by exchanging “lessons learned” with its sister plane, Pratt and Whitney Canada’s 747SP flying testbed, a nearly identical plane used to test new aircraft engines. 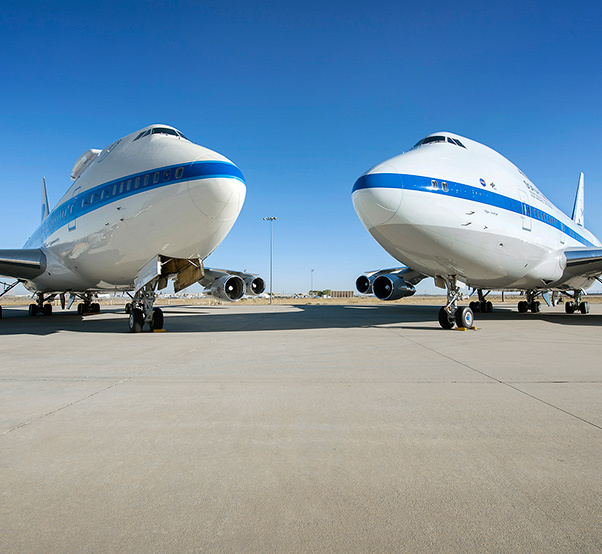 The limited number of Boeing’s 747SP and how each aircraft is used poses its own set of challenges to the normal maintenance and operations of the platforms. During a special visit to the NASA Armstrong Flight Research Center in Palmdale, Calif., PWC’s aircraft maintenance team and development offices discussed opportunities with the SOFIA aircraft team to address these challenges by openly sharing information between the programs. SOFIA Operations Director Michael Toberman says that one of the opportunities includes sharing and procuring parts collectively. This is important because it can be hard to obtain parts on the aging platforms, especially when those parts are needed quickly. “An example of why parts sharing would benefit us goes back to a recent maintenance issue we had with a bulkhead delamination. When we went to order the part, it had a 550-day lead time. We encounter these types of issues, so part-sharing will help us get access to those parts quickly and prevent any further delays in the flight schedule,” Toberman said. 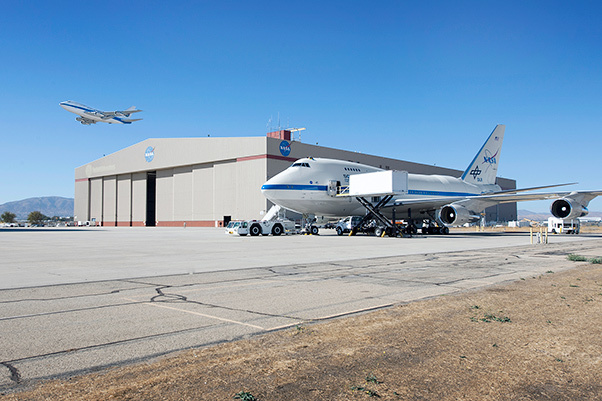 Pratt and Whitney Canada’s 747SP testbed departs NASA Armstrong Flight Research Center Building 703 in Palmdale, California with a fly-over salute to SOFIA on Oct. 20, 2016. Buying parts collectively would also benefit both programs by purchasing things like tires in high quantity and at a lower cost. 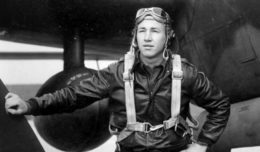 Toberman added that there is much to be learned by both teams as they go through upgrades and modifications of the aircraft. 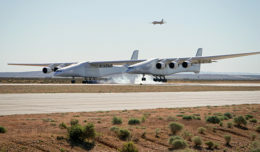 During the visit, the PWC team also explored opportunities for NASA to use its testbed for future propulsion projects, and are planning to host regular user group meetings to continue the discussion of how the programs can aid each other.